Having a current home address on file with NMSU is important for the mailing of W-2 Forms as well as manual pay checks. Please ensure that your contact information is up-to-date. Click Current next to your address under Permanent/Home to make changes to your address on file. When you have updated your contact information, click Submit. Please note that changes may take up to one working day to take effect on the online phonebook. 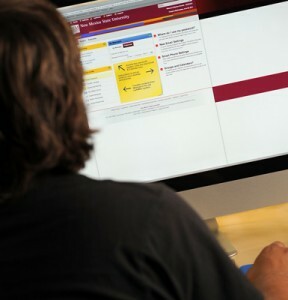 The NMSU Phonebook allows employees some control on the information that appears about them. Follow these instructions if you would like to hide or show personal contact information. On the left hand menu, select Privacy Preferences. You will be presented with your contact information as it currently displays online. Under the information box, a section called Personal Information will appear. Here you can select to ‘Show’ or ‘Hide’ your ‘Home Phone’ and ‘Home Address’. Please note that your employment information may not be hidden. Changes are updated daily by 7am. Click Logout on the top right-hand side. If you need to update the work phone number that is listed for you on the NMSU Phonebook, please send an email to hrhelp@nmsu.edu. You must provide your Aggie ID, the phone number that is incorrect and the number you would like it changed to. A confirmation email will be sent when the changes are made.